Folkstone is an Italian folk rock/metal band from Bergamo (B?rghem). The idea was born from Lore, Ferro and Forese, who wanted to bring back to life ancient melodies and mix them with a metal/rock key. At the beginning Lore and his tumbler friend Teo started to play Bagh?t, the tipical Bergamo's bagpipe, and after a few month the medieval bagpipe. 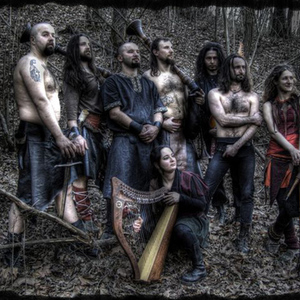 Folkstone find their inspiration in the mittelalter rock scene and bands like In Extremo, Corvus Corax, Schelmish and other transalpine folk music bands.